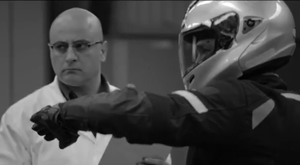 Engineers face quite a challenge when designing new powerplants. They are required to create economical and green engines which at the same time also provide high specific power. Sure, you can have it all, but you’ll have to bid farewell to durability. As environmental regulations are getting more and more stringent, engineers are forced to install various auxiliary technologies on what used to be a simple internal combustion engine. At first these seemed to operate without a flaw but over the time they resulted in some unexpected issues. The first of these added technologies was the catalytic converter, which in turn necessitated the inclusion of the lambda sensor, allowing the high precision control of mixture formation. This is also fairly simple as far as technology goes; automotive electronics at that point were advanced enough to provide reliable, electronically controlled fuel injection. Some of these systems could still be operational today except something completely unexpected came up and murdered the engine – sludge formation. What engineers, chemists and tribologists did not count on was lean combustion, i.e. when there is less petrol in the air-fuel mixture than what could be combusted. Combustion is therefore expanded in time and space, creating hotspots on certain components which can upon contact heat small amounts of oil beyond their cracking temperature. This breaks up carbohydrate chains, accelerates soot formation and creates a high density of soot in the oil. This is not necessarily fatal, since there are detergent dispersant additives (DDA) in lubricants which prevent pollutants from depositing. However, when operated under less than ideal conditions, such as when oil change intervals are taken liberally, these additives wear out and become inefficient. 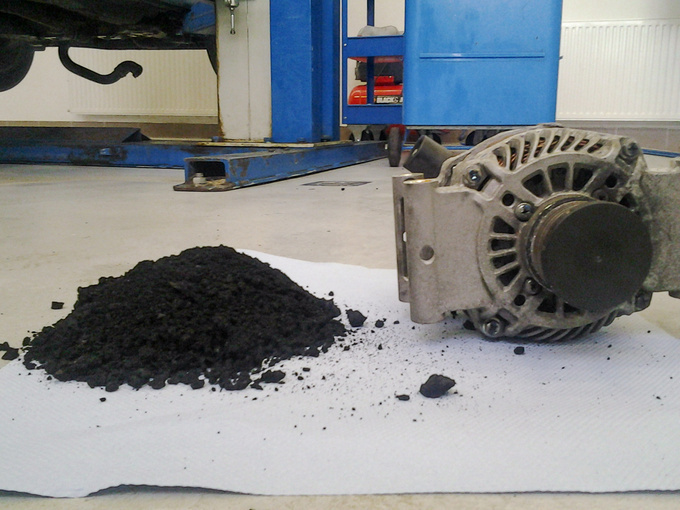 DDA loses its chemical and physical capacities, resulting in soot deposits. These are first formed at spots where there is either much oil – such as the oil pan – or where oil has low volume flow rate or low pressure, e.g. 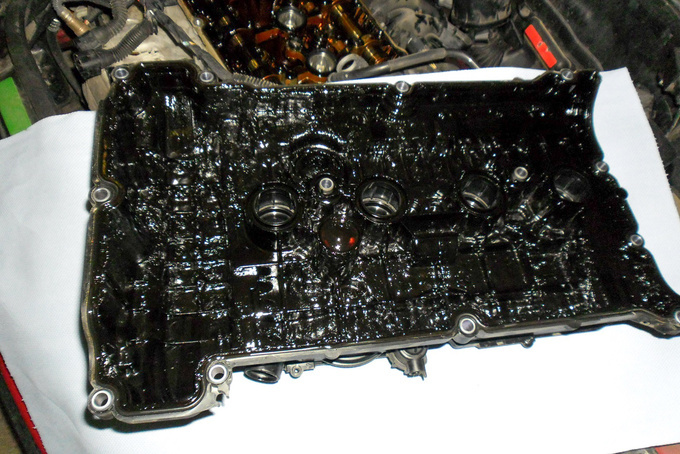 forced or spray lubricated areas such as the timing under the valve cover. 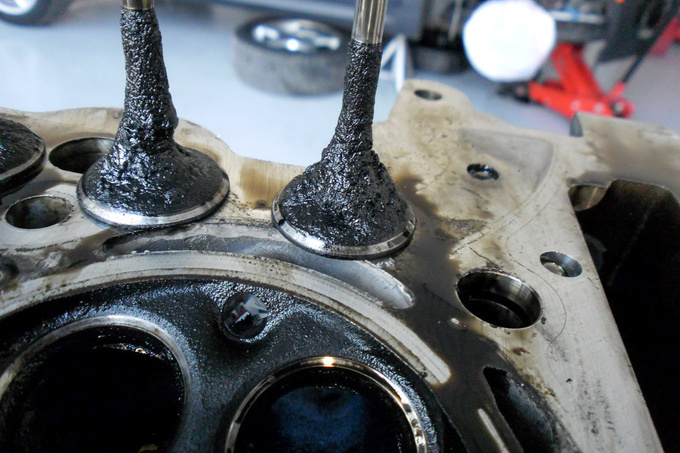 When soot deposits accumulate to a degree that begins to hinder the flow of oil or the free movement of engine parts, engine malfunction occurs rapidly and invariably. Engineers responded to these issues by creating lubricants with higher DDA content and by modifying the lubrication system. 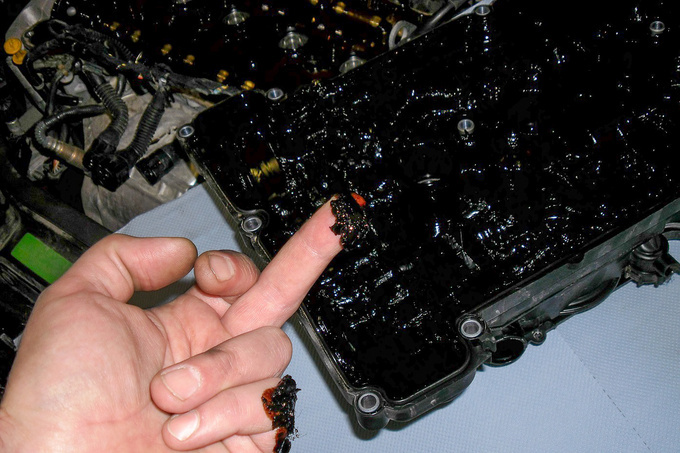 Users who noticed the issue in time either opted for a shorter-than-recommended oil change interval or turned to oil additives that served to clean the internal components of the engine. These were helpful if done in time but could also prove harmful if there was already too much gunk in the engine. The only reassuring solution was disassembly and cleaning. Then another few years passed by and environmental regulations got even more stringent. Engineers had to create powerplants with low fuel consumption, modest emissions, but high specific power ratings, in line with apparent market demands. Back in the ‘70s a 1.2-litre engine was considered high-tech if it could do 60 PS; today you hardly find any under 80 PS, while turbocharged engines are well over 100 PS. The only way to achieve these attractive performance figures and adhere to strict emission control regulations was to add various systems such as exhaust gas recirculation (EGR) and to revise, optimise and improve the internal structure of the engine. Those 1.2-litre engines back in the 70'soperated with something like a 270-degree valve opening camshaft; but in our age of variable valve timing this value can reach 300 degrees or beyond. Camshafts like that were practically considered racing technology back in the ‘80s. Fuel injection has also been perfected. Now we have direct injection, straight into the combustion chamber. The latter is shaped using computer aided modelling, allowing a compression ratio of up to 14:1 on petrol engines without knocking (detonation instead of combustion). Four valves per cylinder almost goes without saying, even in case of small diameter cylinders, resulting in valves with thin stems, sealing surfaces and edges. Modern mixture formation systems employ special twirls to enable the reliable ignition of very lean mixtures (beyond the stoechiometric ratio of 14.7:1). This lowers consumption and improves some environmental parameters. Other parameters deteriorate but are set right using EGR or other solutions. Because of the aggressive cam profiles and significant valve overlaps, intake valves are still open at the start of the combustion cycle. During lean combustion the flame front propagates slower, heating components more intensively. The soot contained in the recirculated exhaust gas will deposit on the hot valve. 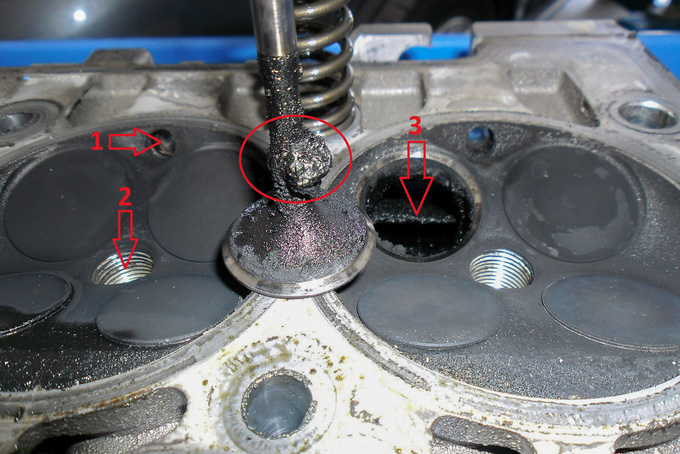 The valve only touches the valve seat for a short time, meaning it is unable to transfer significant heat to the cylinder head so it will continue to heat up and gather soot. When valve openings overlap injected fuel can reach the valve and leave residues on the valve plate or stem as it evaporates. This will speed up soot deposition and further aggravate the situation, also because this deposit acts as an insulator layer. Remember, you still have your localised hot spots, and while lubricants are now fully synthetic and rich in additives, oil change intervals have doubled. So the oil sludge returns, accompanied by soot deposits in the combustion chamber, on the valves and the manifold, causing further overheating at one spot and narrower cross section at another. This means a definite increase in engine troubles on modern cars. These could surface as early as during the warranty period but it will definitely come up at around 100.000 km. There are two immediate questions that arise from this. One is why we need all those engineers if they cannot solve these issues, and the other is what everyday users can do to prevent failures from happening. The problem with these engines is that their operating conditions are highly variable. Some users run them at partial load on short stints, others drive at high speed and high load. What the real issue is that they always drive like that, instead of varying the driving styles. 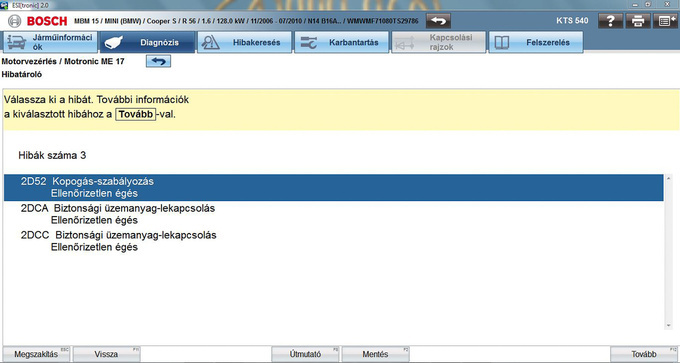 In the world of technology you don't get free meals, there are no advantages without disadvantages. Modern Euro5 engines are much more sensitive to certain operating conditions, and no matter how you drive them, there will always be some conditions that are detrimental to the engine. For instance, when driving at low load (e.g. light throttle) at exactly 70 kph the EGR valve will remain open all the time, letting exhaust gas inside the combustion chamber, resulting in soot deposits. If you only use your car in the city you won't reach the temperatures needed for a self-cleaning process to kick in, again resulting in soot deposits. The best thing you can do is to vary the way you drive your car. Include an uninterrupted highway stretch for at least half an hour, driving at high revs. If you cannot do this make sure you replace your oil after 15000 km instead of 25000. You must remember that for engines without flexible oil change intervals, the prescribed interval presupposes ideal operating conditions. If you cannot provide those, you will need to change the lubricant more frequently. Also, use good quality petrol and from time to time apply additives that clean the combustion chamber. By doing this you can lengthen the life expectancy of your car. What really helps though is to realise that modern engines are far more sensitive than those slow, polluting and thirsty fossils from the ‘90s. That's the price we have to pay. 34 seconds that will change your way of thinking. Remember this video when riding your scooter or motorbike.